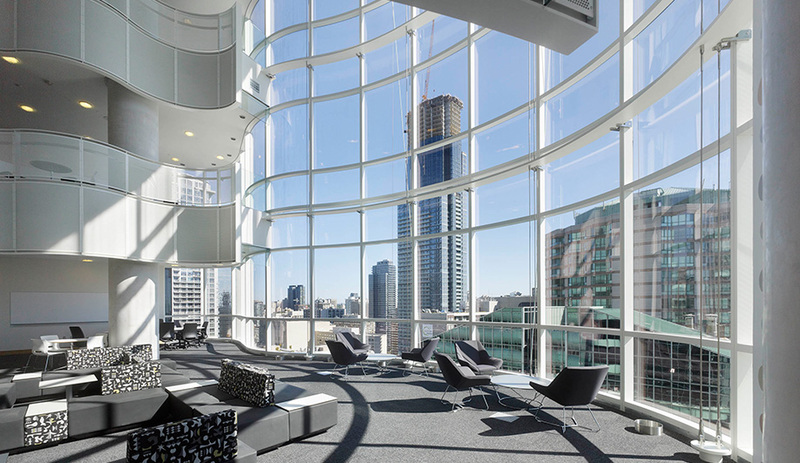 The Peter Gilgan Centre for Research and Learning, designed by Diamond Schmitt Architects in collaboration with HDR Architecture, brings paediatric experts together in one building, where they can now exchange ideas over cups of java and inspiring city views. 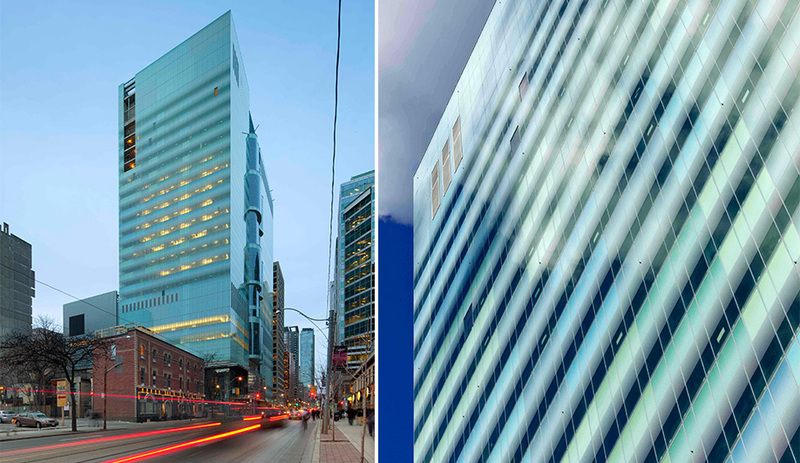 For years, the more than 2,000 scientists and children’s health specialists employed by Toronto’s Hospital for Sick Children (also known simply as Sick Kids) have worked out of six buildings scattered across the city. The physical distance between each lab made sharing information among the departments of Canada’s largest centre dedicated to children’s health either cumbersome or nonexistent. Yet, the need for specialized teams to communicate their findings to one another has become an essential part of breaking new ground in medical research. “Everyone is talking to everyone now,” says Mary Jo Haddad, Sick Kids’ president and CEO. 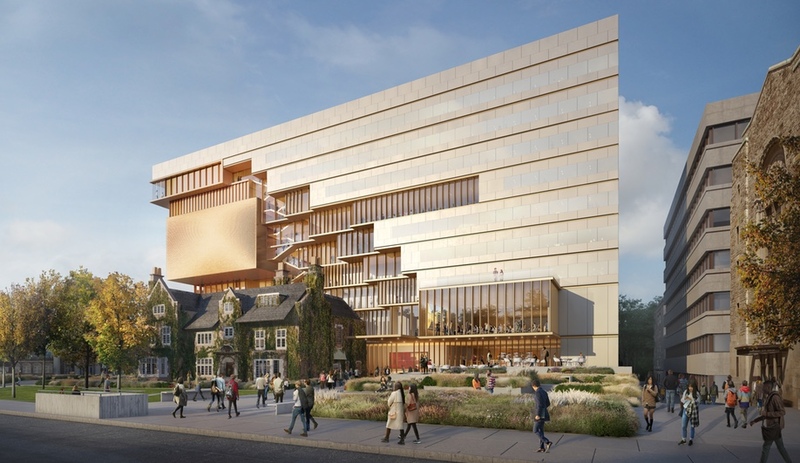 She is referring to the Peter Gilgan Centre for Research and Learning, a 21-storey, 70,000-square-metre volume situated next door to Sick Kids’ original building in downtown Toronto. 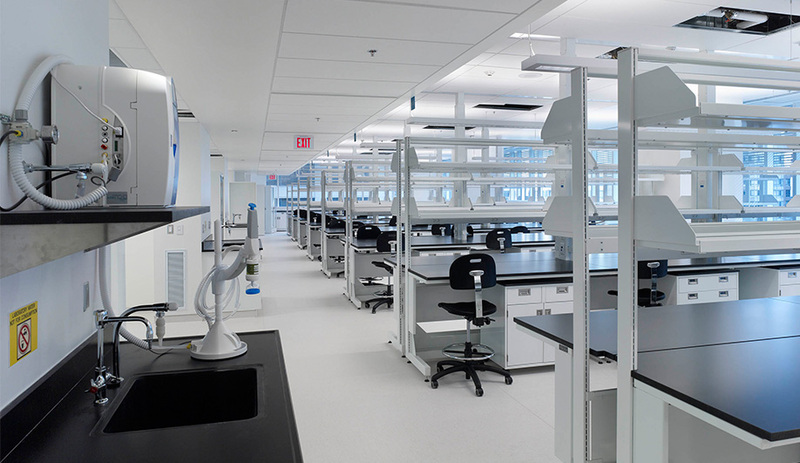 During a tour of the facility, Haddad pointed out that new discoveries and advancements are not made by conducting scientific studies in isolation. Rather, the global cross-pollination of ideas is key. 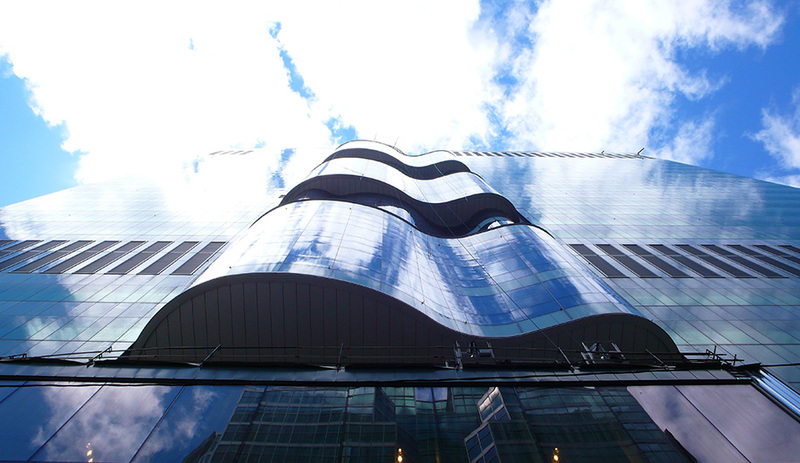 Designed by Toronto’s Diamond Schmitt Architects, in collaboration with HDR Architecture, the $400-million building is a handsome block of white fritted glass. 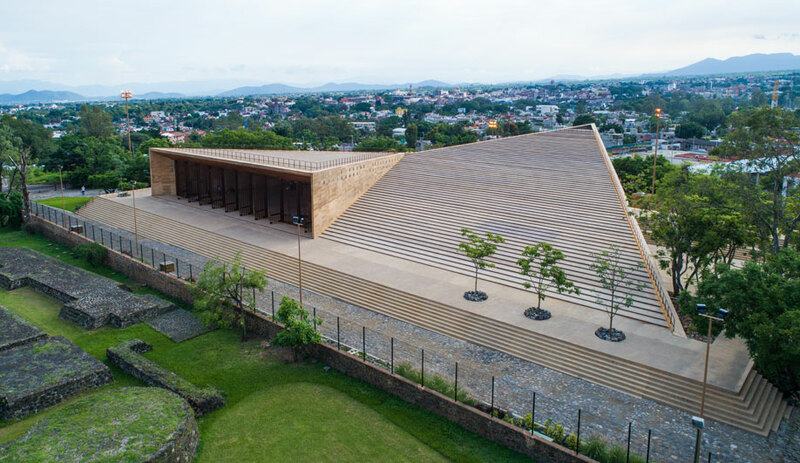 The main entrance brings visitors into a wood-clad lobby with a black granite staircase at one end that leads to a 250-seat auditorium on the second level. 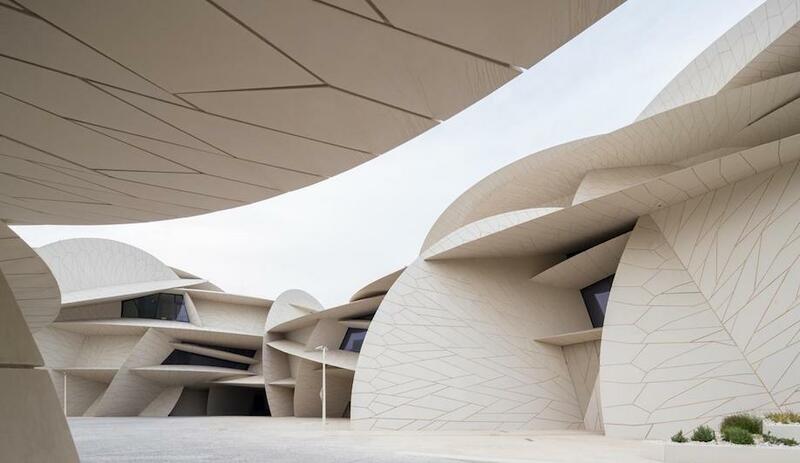 Fully wired to allow specialists from around the world to communicate in real-time, the half-circle auditorium with its tiered seating appears poised to become an impressive backdrop for seminal conferences and major medical announcements in the years ahead. 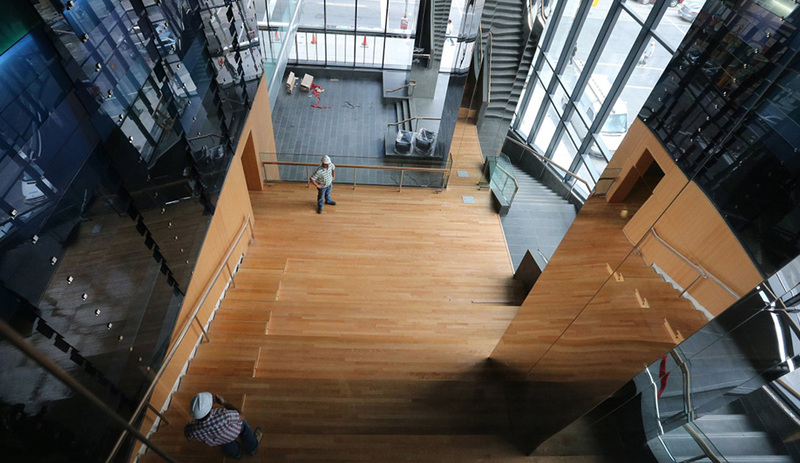 But the centre’s most inspired feature is how the laboratories and common areas in the floors above are designed to nurture communication between experts on a day-to-day basis. 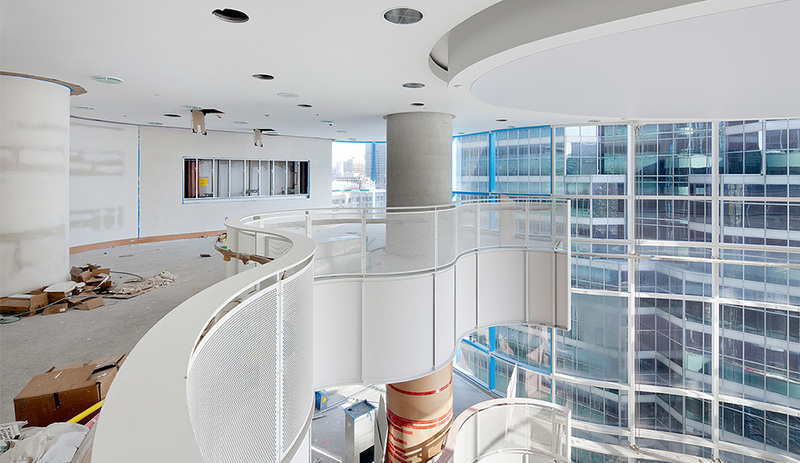 The building is occupied by six research departments that range from stem cell biology and physiology to neuroscience, and each department spans two to three floors, creating what the architects call “neighbourhoods.” The connector is a glass-enclosed atrium shared by each neighbourhood and accessed by a set of curving stairs. 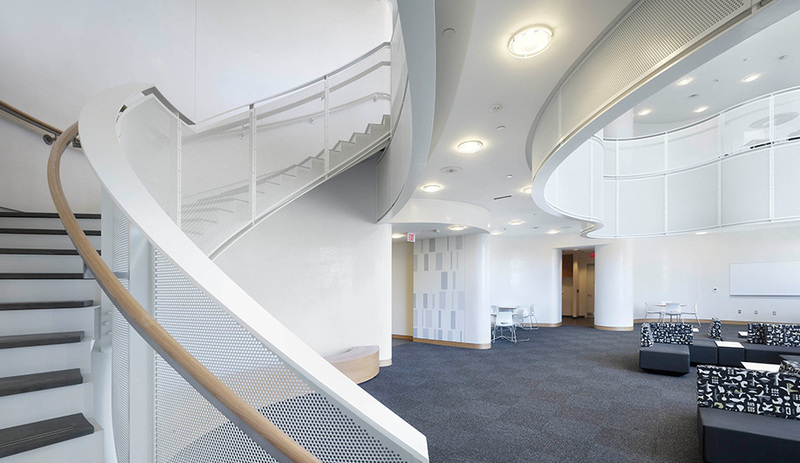 Filled with club chairs and lounge seating by Keilhauer, the airy common areas are designed to give scientists a place to take breaks but also to converse with colleagues from other fields within a casual environment. The view from the atrium alone should help clear heads, with its stunning views up and down Bay Street’s dense street corridor. The labs themselves are barrier free, mostly white, and surrounded by windows with views onto the children’s hospital next door – a constant reminder of the patients the labs ultimately serve. 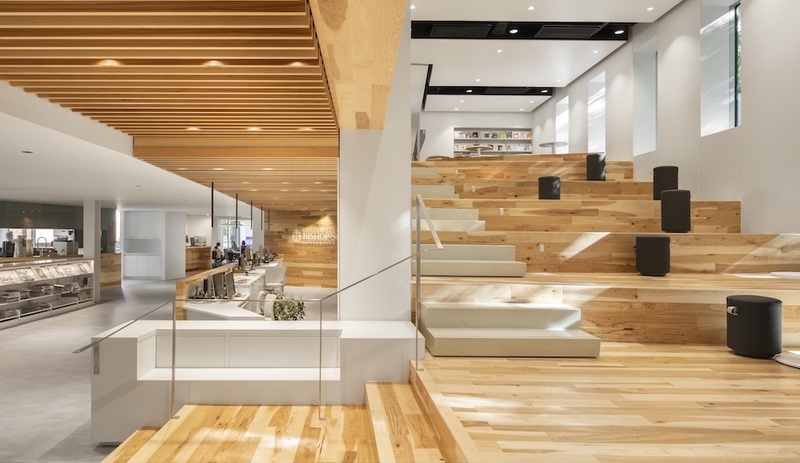 During the tour, lead architect Donald Schmitt pointed out there are no drains embedded into the flooring and the desk and shelving units are not bolted to the floor. “Everything is removable,” he noted. 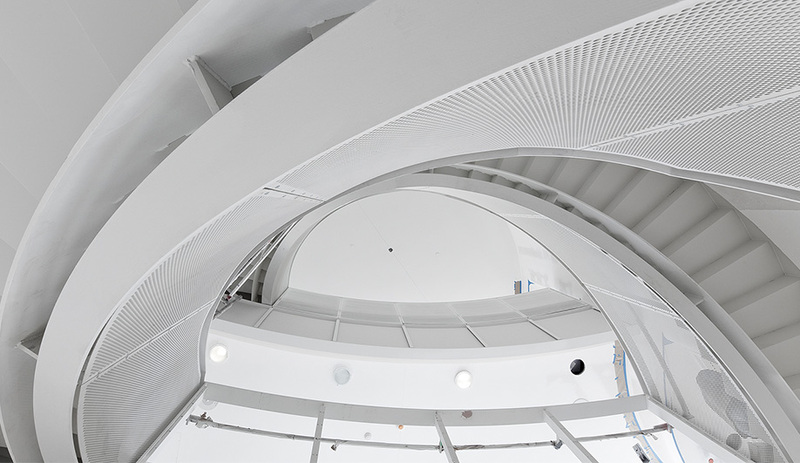 “These rooms are intended as labs now, but they could be used for anything in the future,” and accommodate any as-yet-invented piece of equipment and technology that could be critical to research.